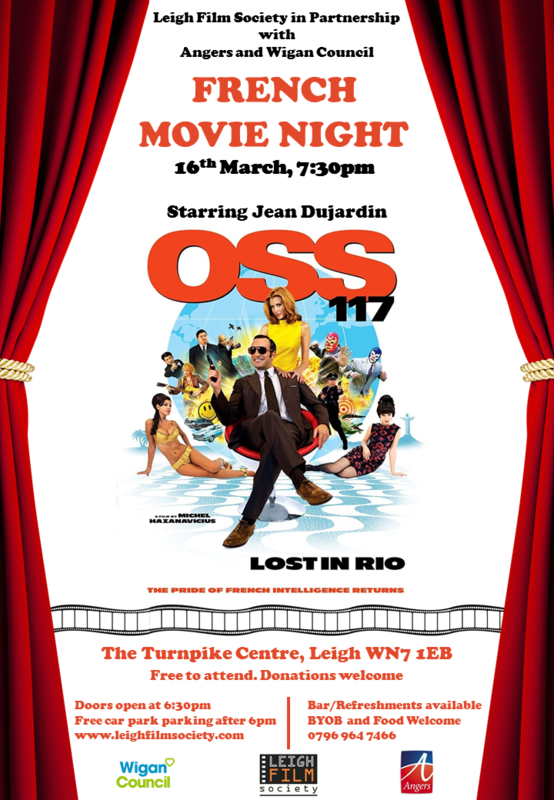 "Hubert Bonisseur de la Bath, aka OSS 117, is the French spy considered by his superiors to be the best in the business. The year is 1967 - he's been sent on a mission to Rio de Janeiro, to find a former high-ranking Nazi who went into exile in South America after the war. His eventful investigation takes him all across Brazil, from Rio to Brasilia and the Iguazu Falls, accompanied by a charming Mossad agent who is also looking for the Nazi. The man is charming, and so is the young woman." Click this button to donate to Leigh Film Society via Paypal.